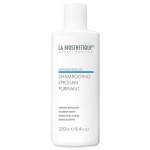 La Biosthetique Epicelan Purifiant anti-dandruff shampoo provides a particularly gentle cleansing experience, freeing the scalp of dandruff and normalising the microbial environment. 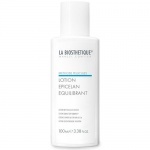 La Biosthetique Epicelan Equilibrant anti-dandruff lotion combats dandruff on a dry and sensitive scalp, protects against dehydration, is regenerative and thus lastingly eradicates dandruff. La Biosthetique Epicelan Preventif Anti-dandruff lotion combats oily dandruff, improves the scalp’s natural defences and lastingly prevents the formation of new dandruff.